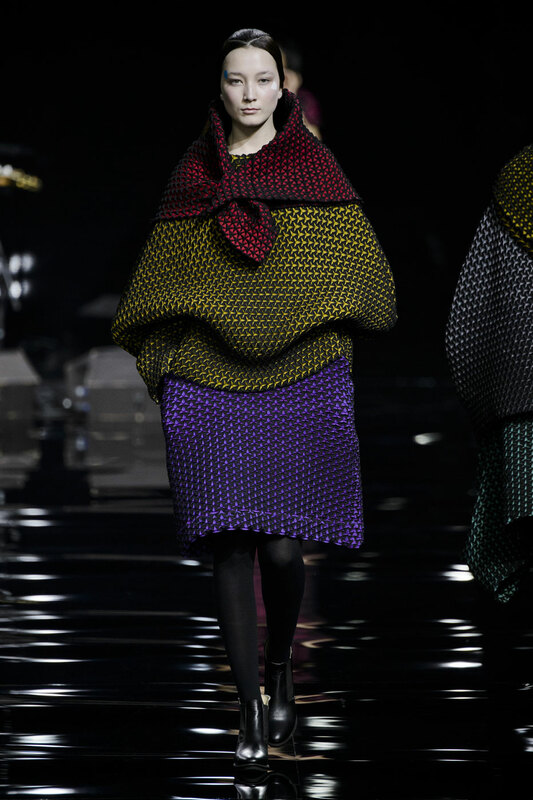 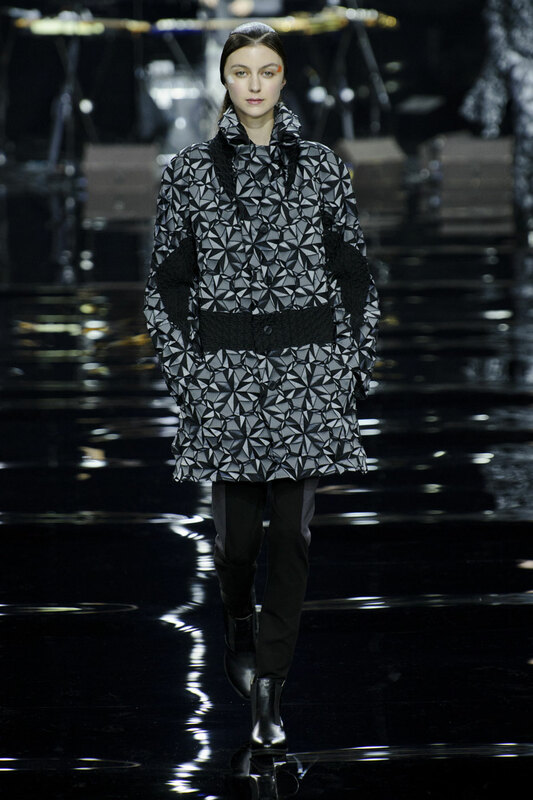 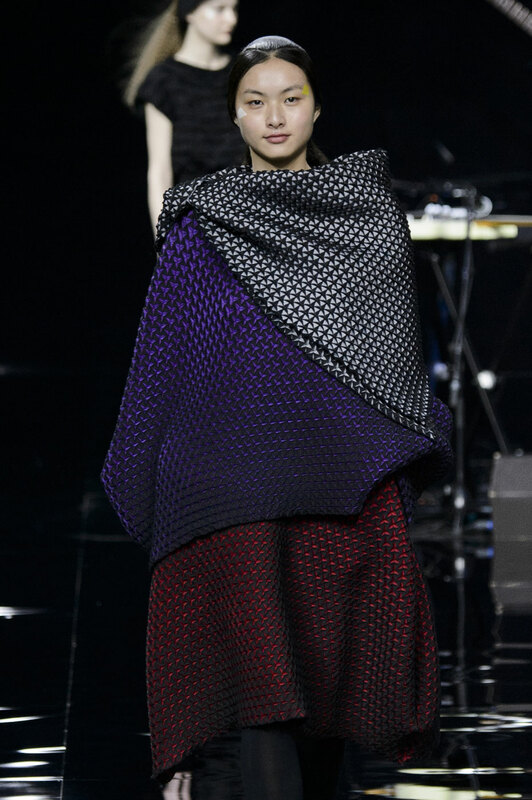 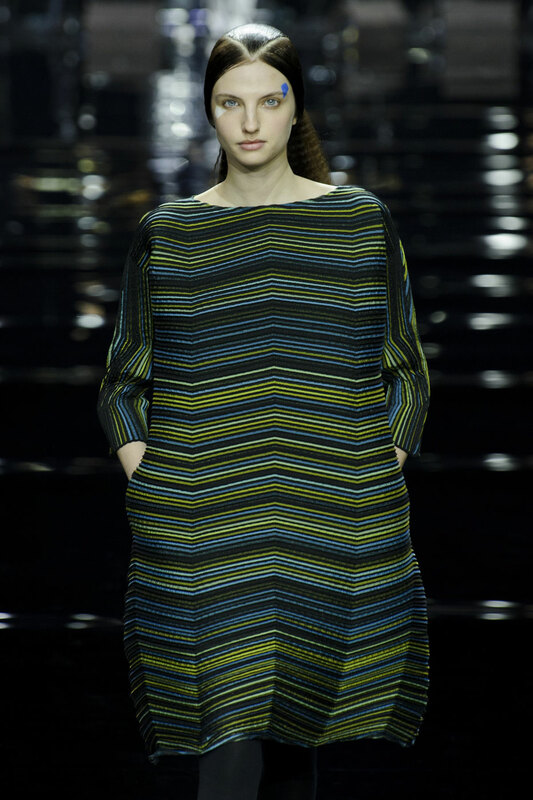 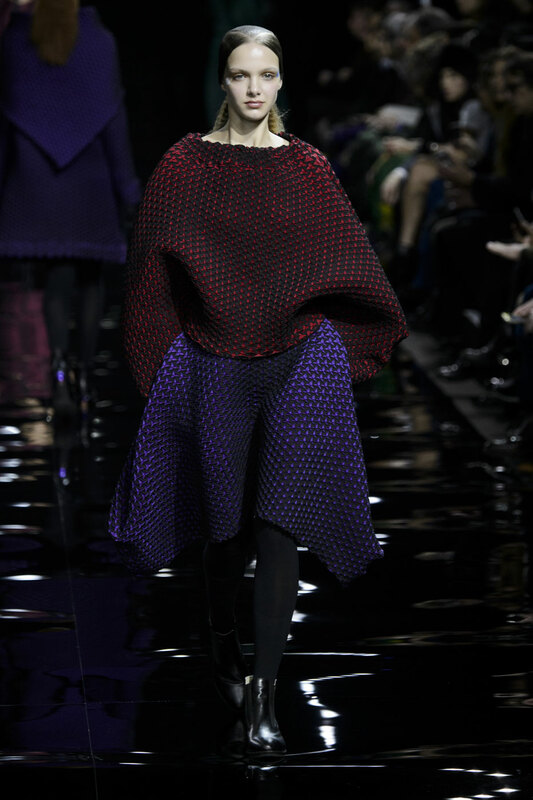 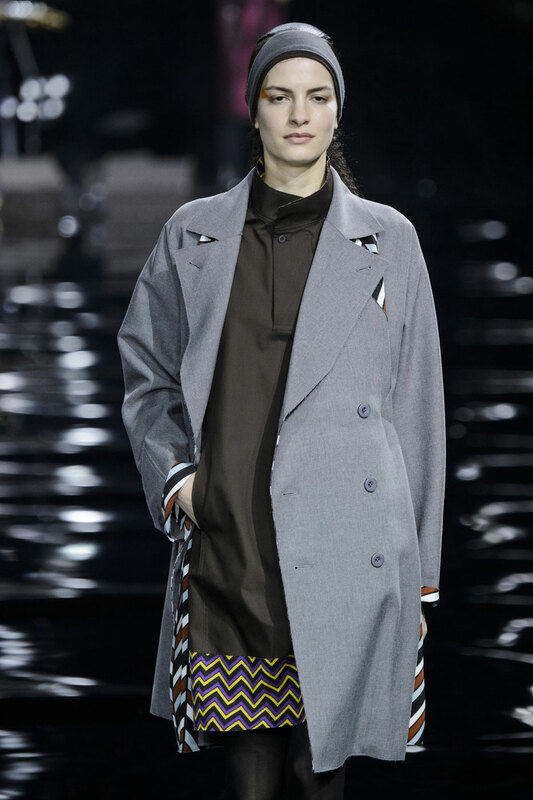 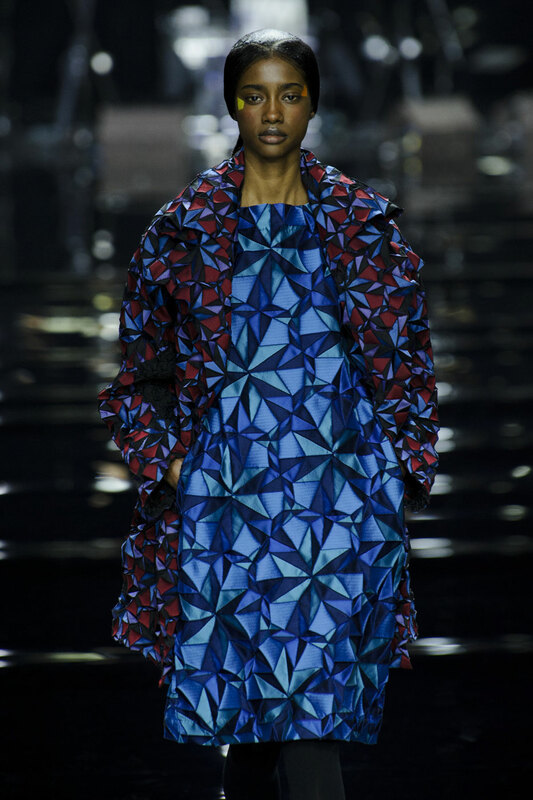 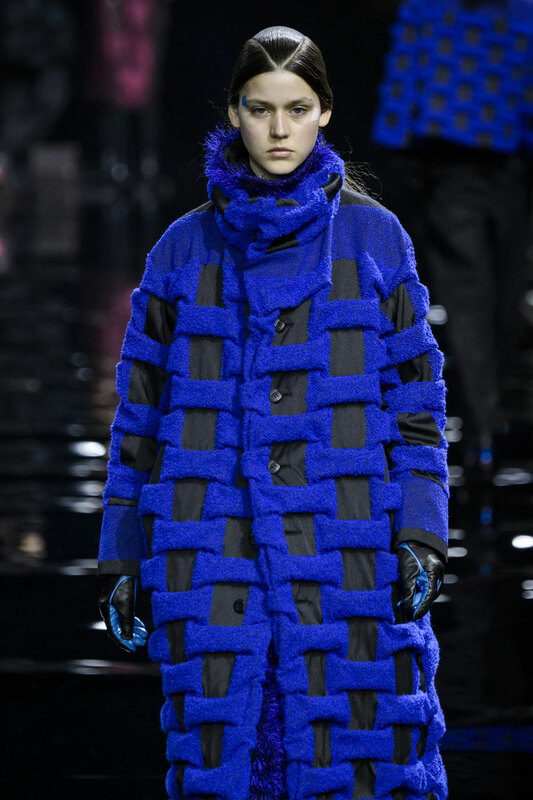 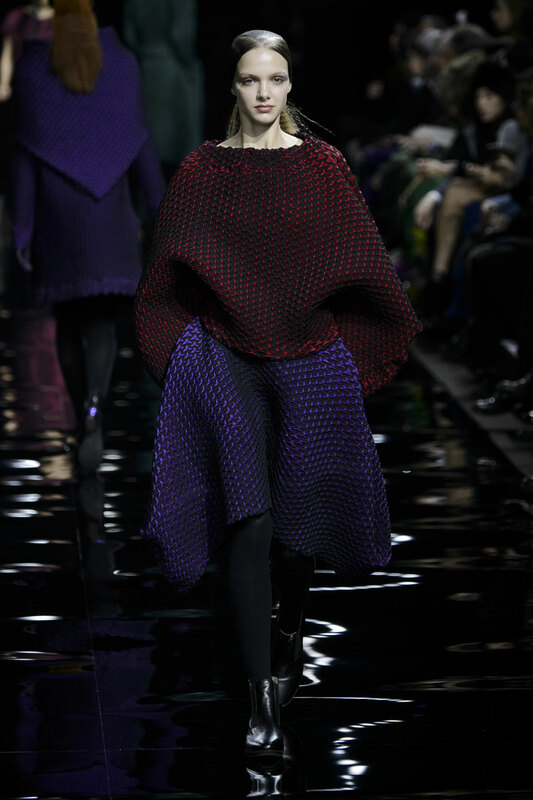 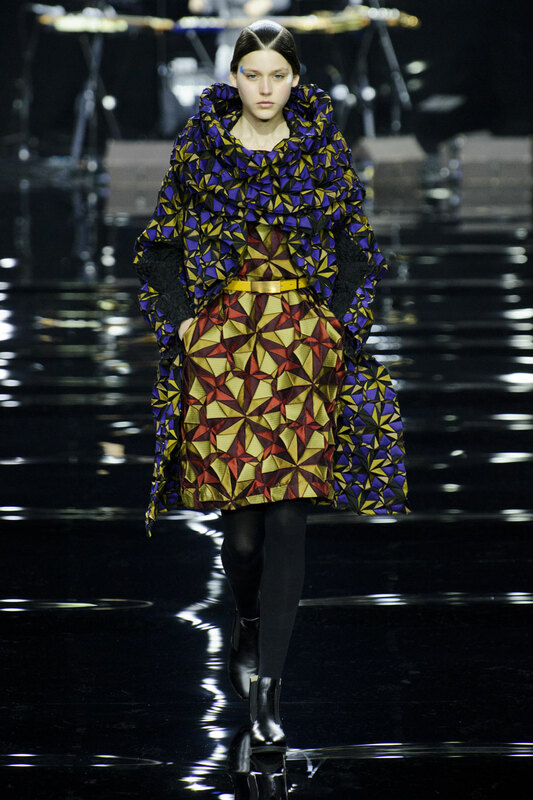 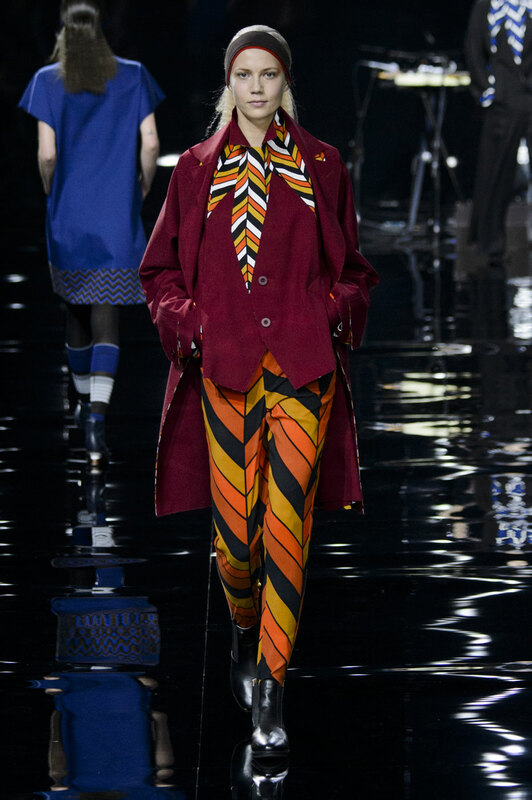 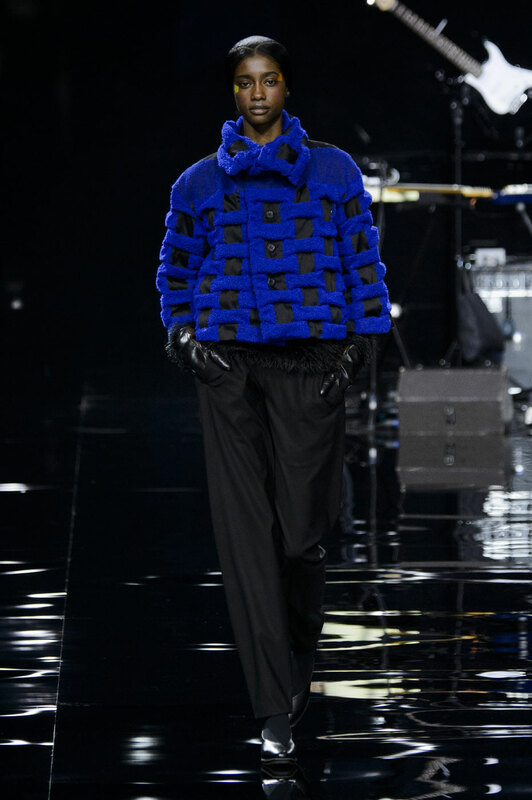 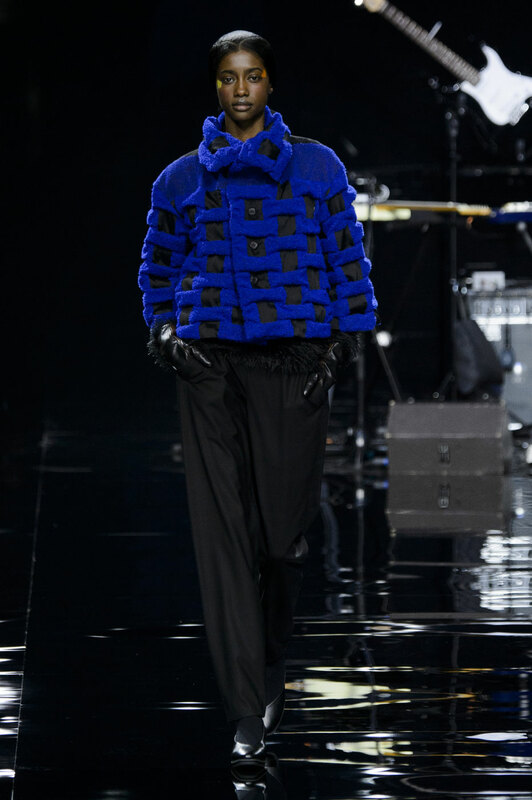 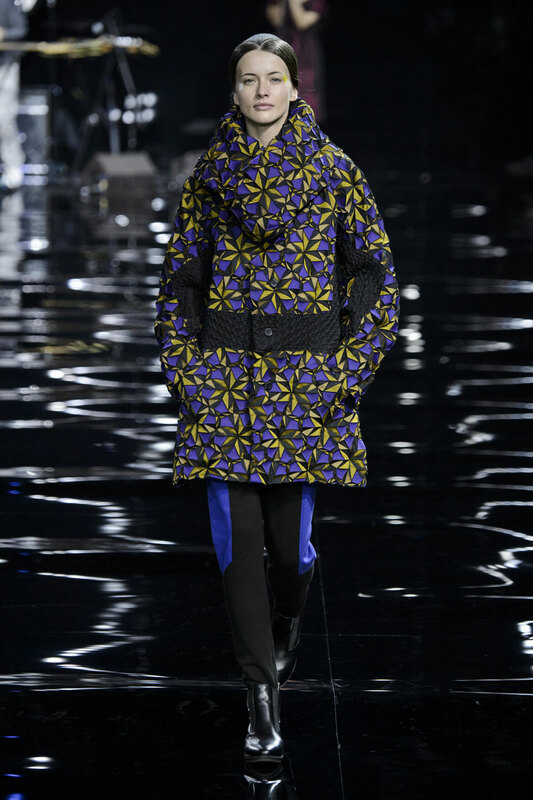 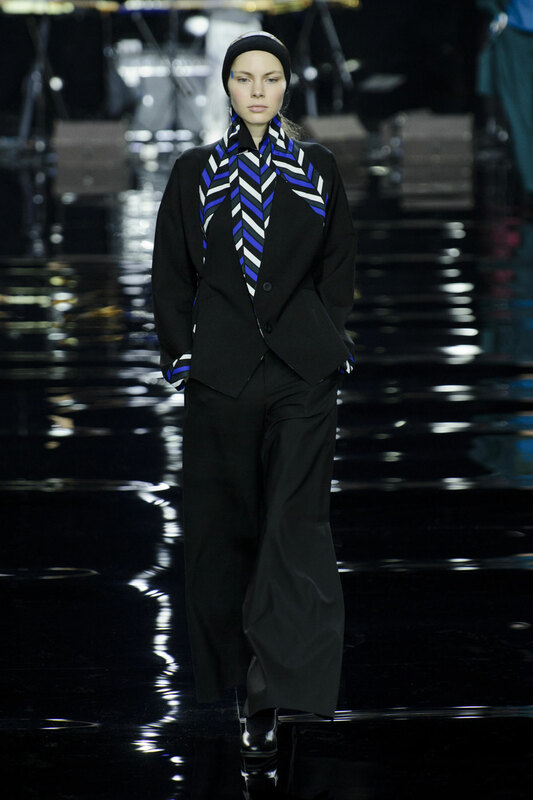 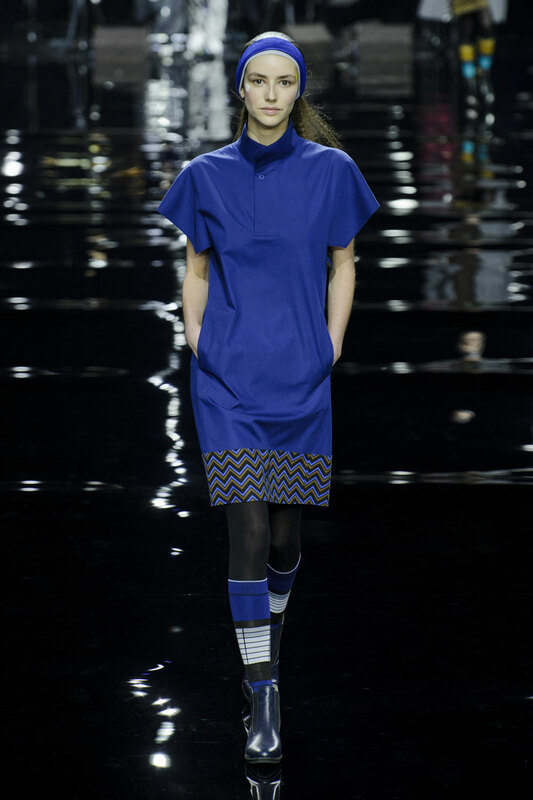 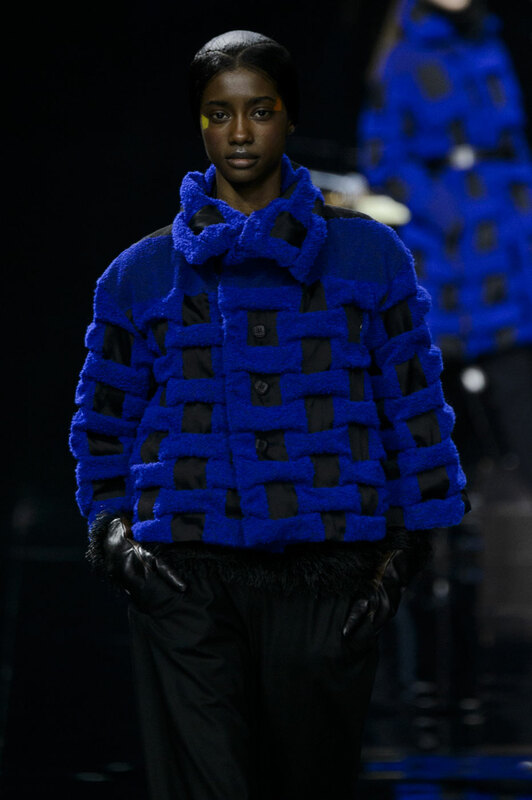 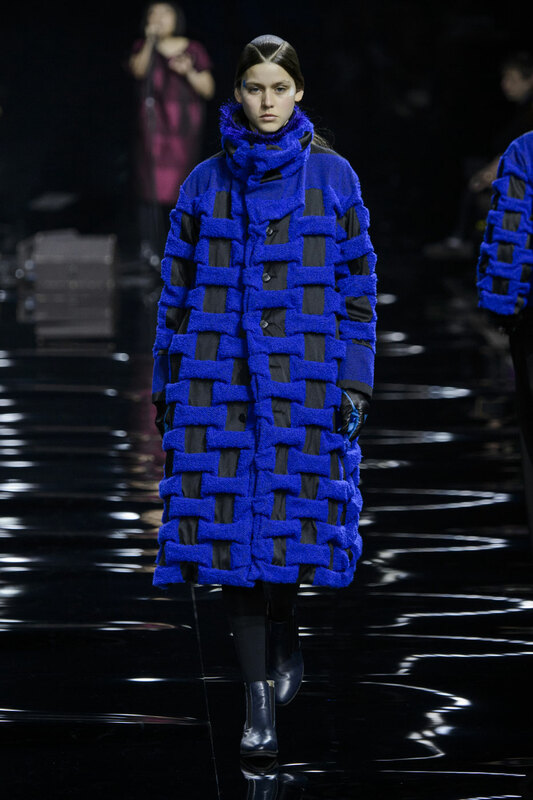 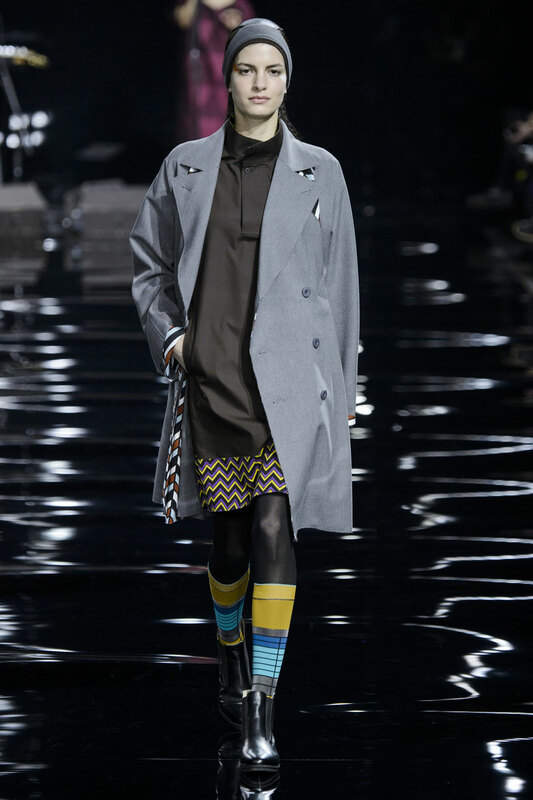 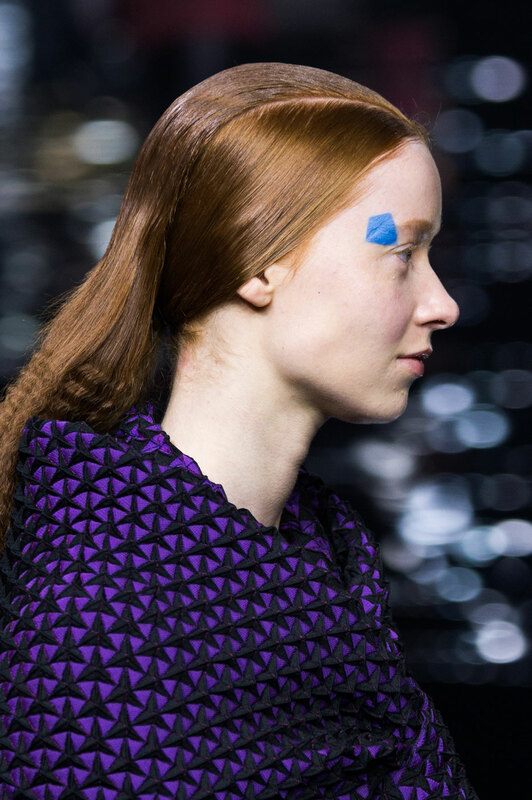 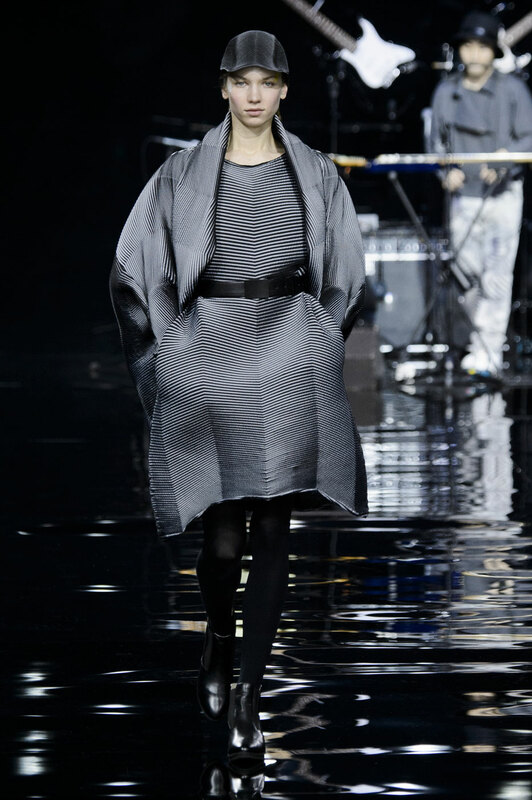 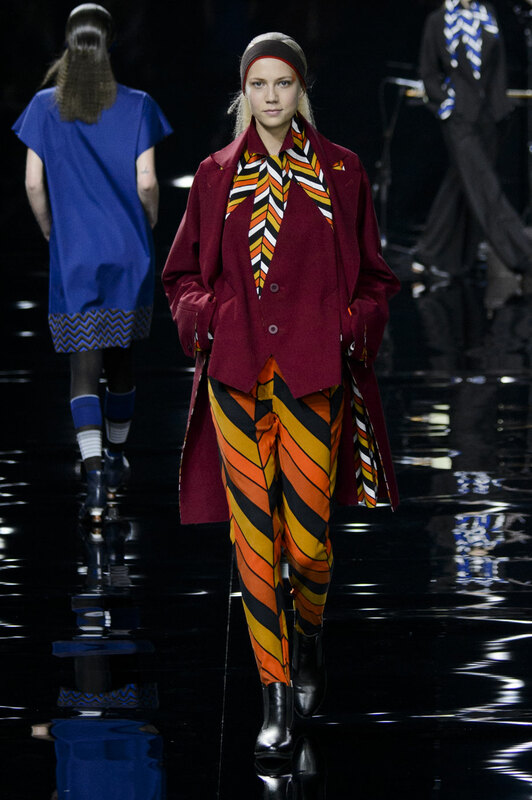 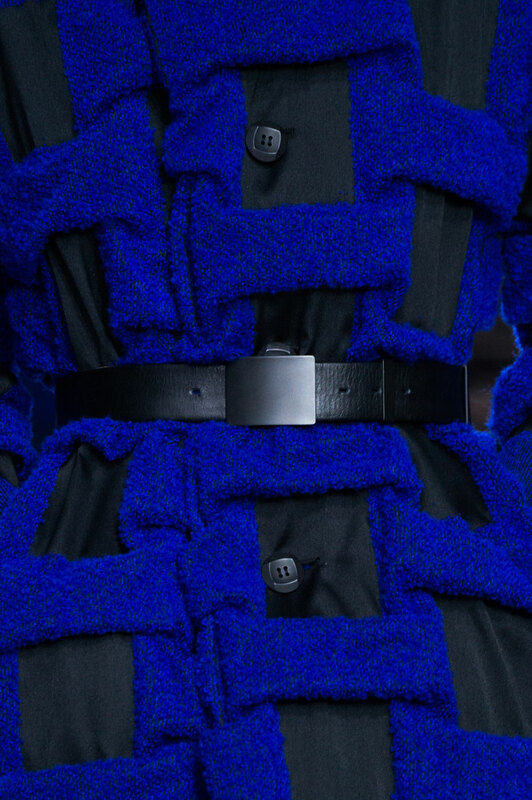 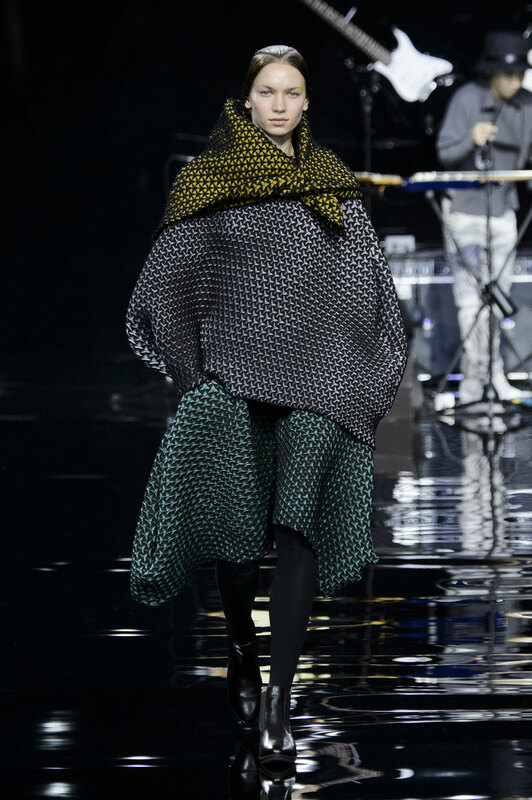 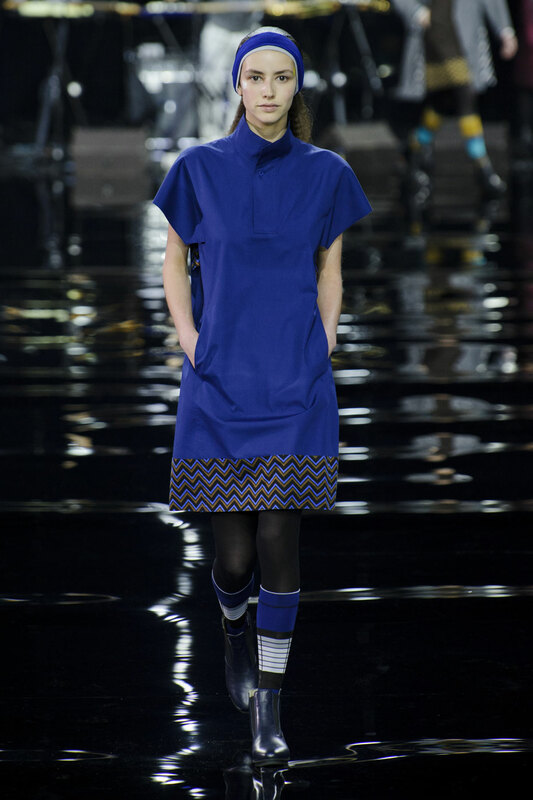 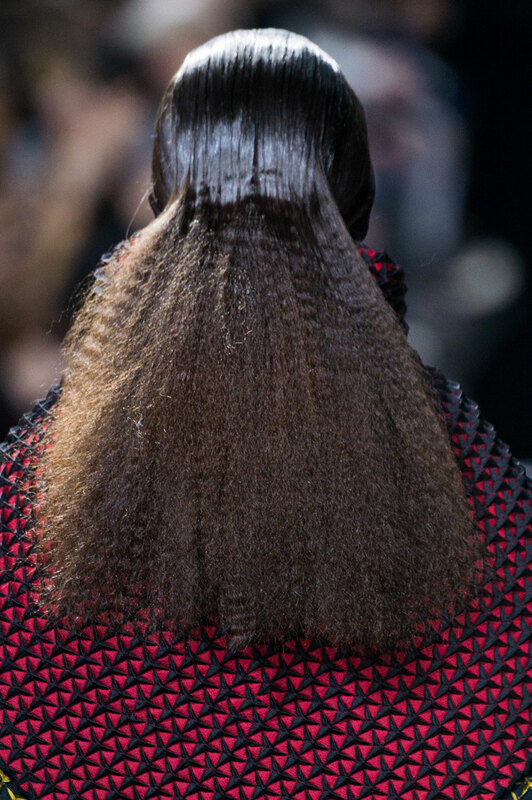 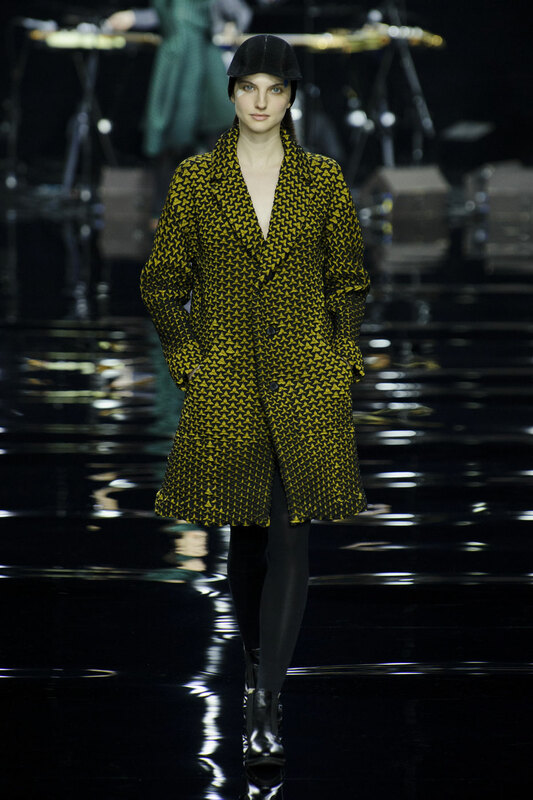 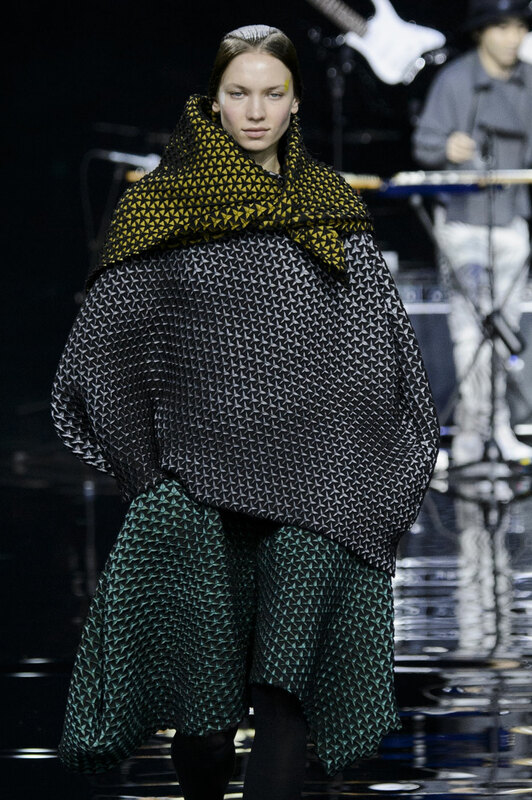 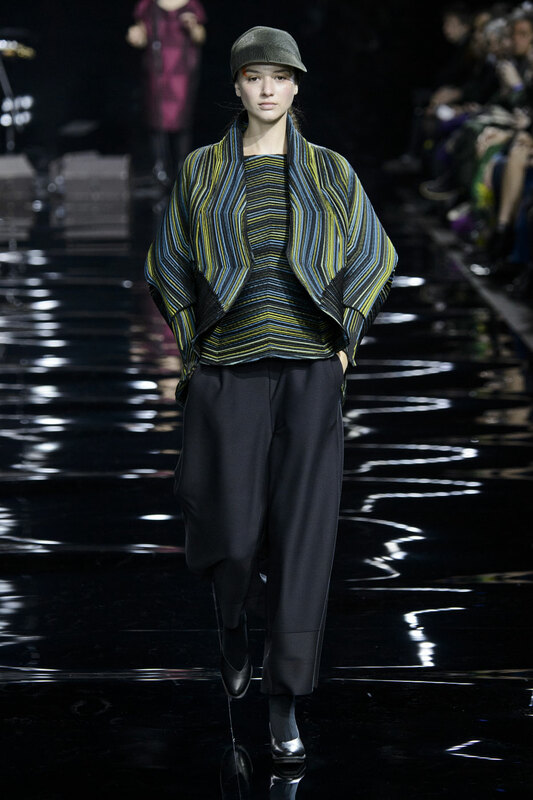 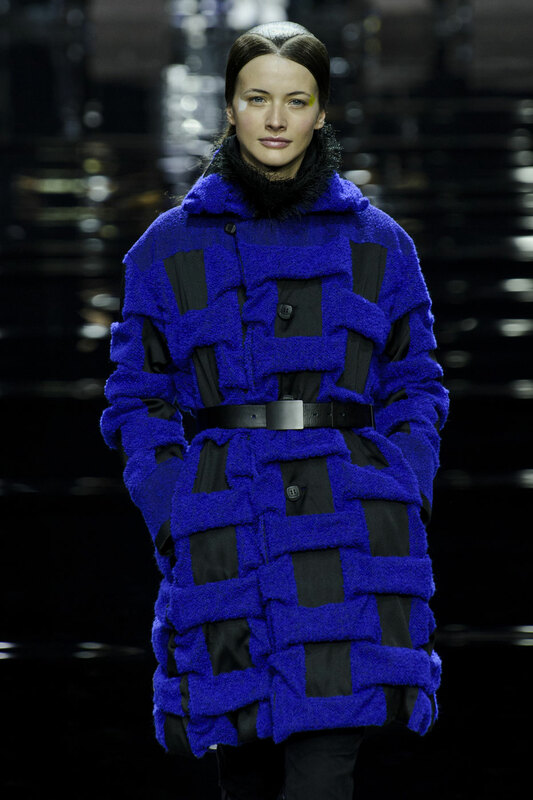 Issey Miyake Women Autumn-Winter 2015 – It was a joyful vibrant affair at Espace Ephémère Tuileries, when Issey Miyake sent an Autumn-Winter collection down the catwalk. 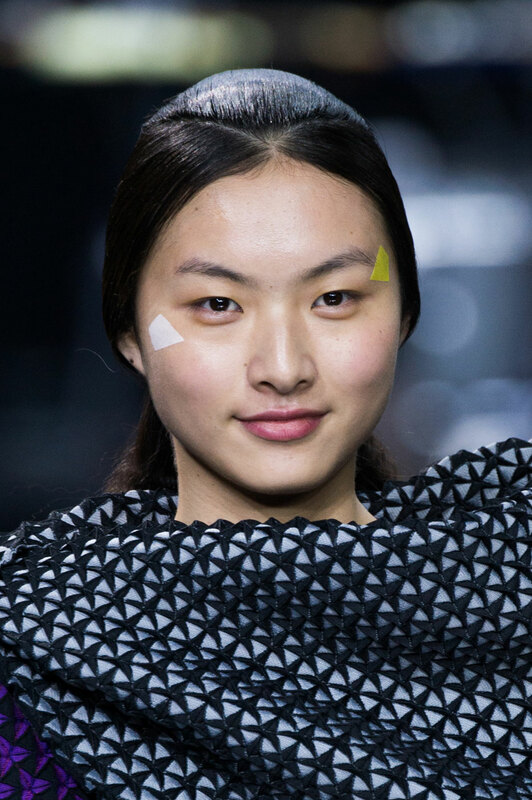 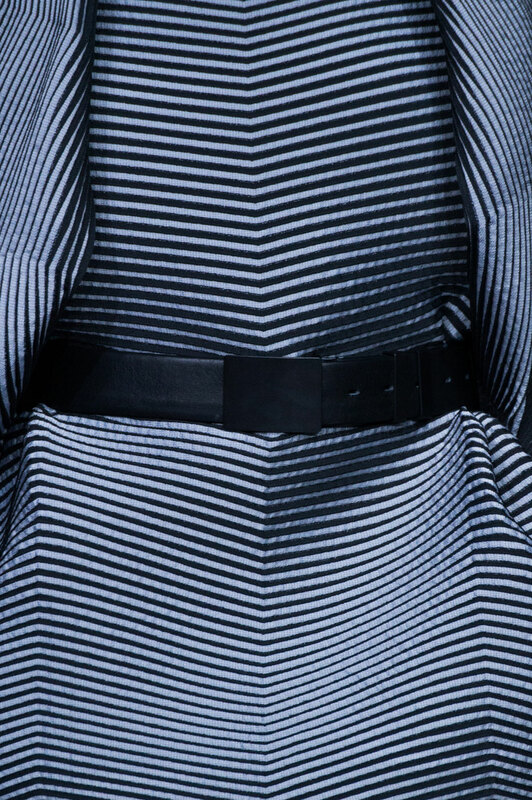 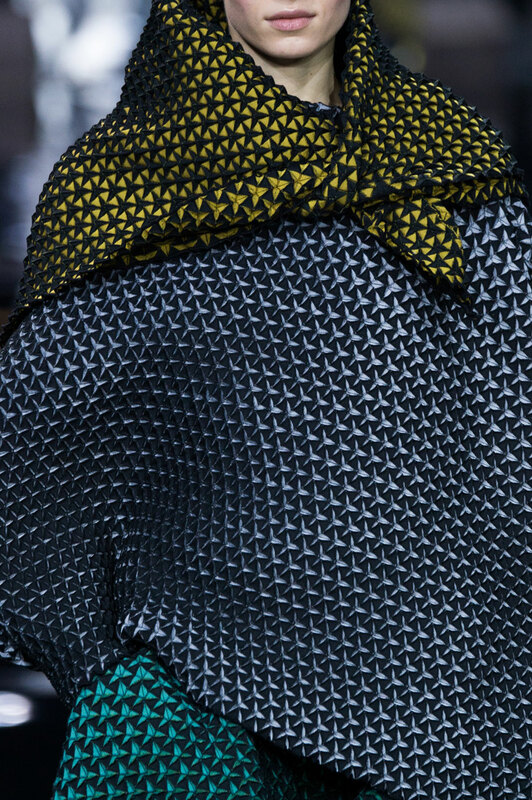 Renowned for technology-driven designs, it is more than a bit of science that goes into the creation of an Issey Miyake collection. 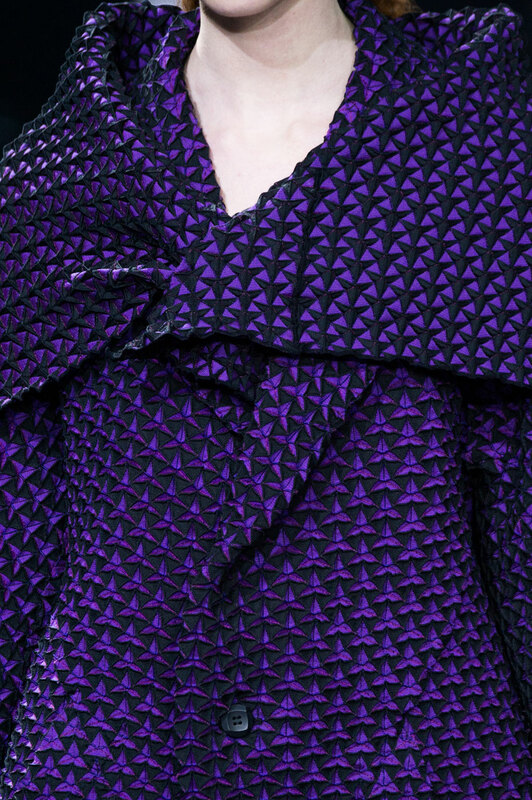 Many of the fabrics developed in-house have transformative properties engineered in a legitimate laboratory. 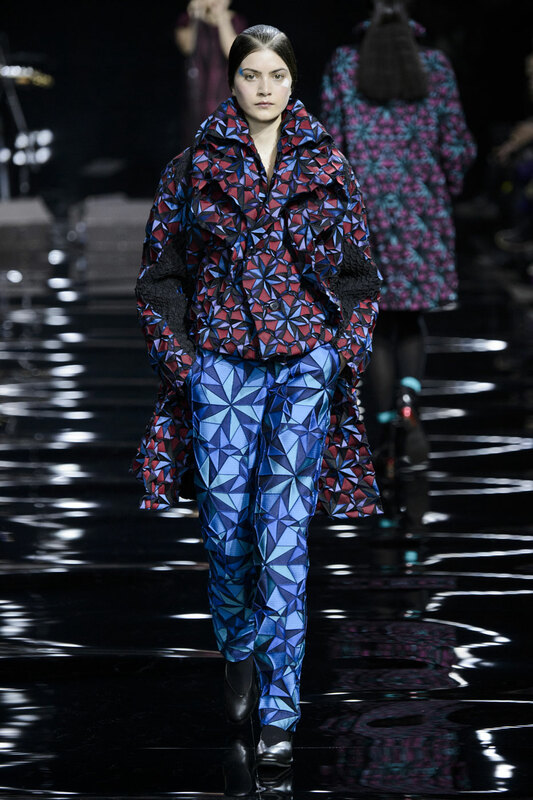 At the same time, designer Yoshiyuki Miyamae takes a lot of his inspiration from every day surroundings but for AW15, we saw the world through his kaleidoscopic glasses. 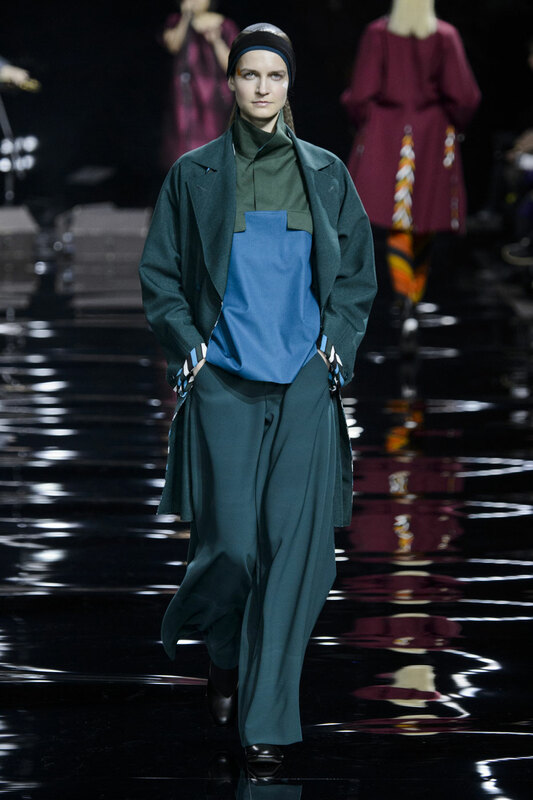 The collection started off with oversized voluminous pieces in the form of a coat dress, a skirt suit, shawls and asymmetric skirts which swamped the models. 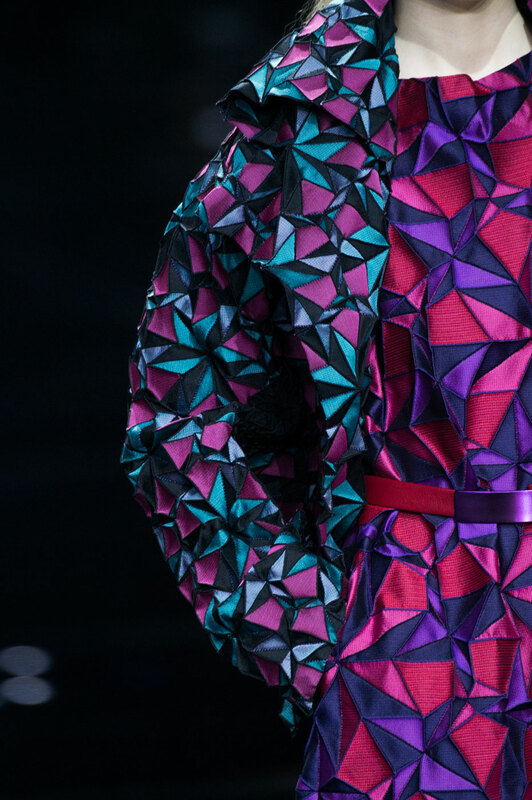 All of which were made out of the label’s magical ‘steam stretch’ fabric, a heat-reactive material that can form any 3D shape. 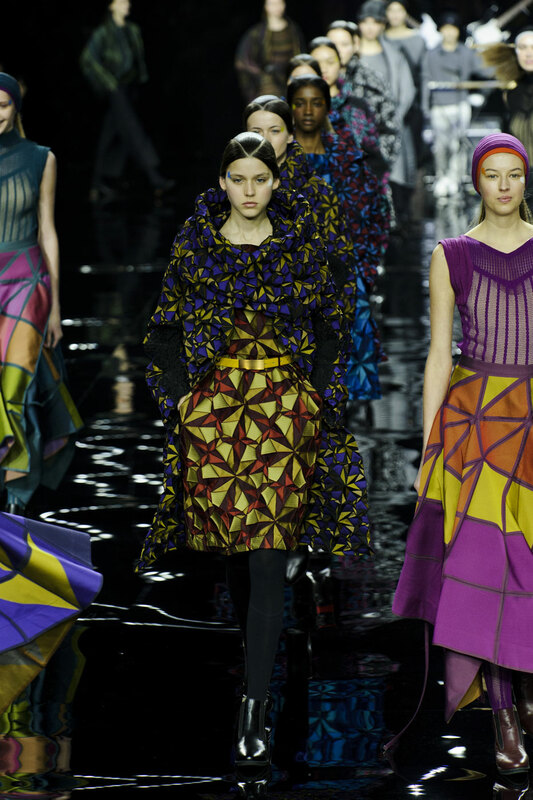 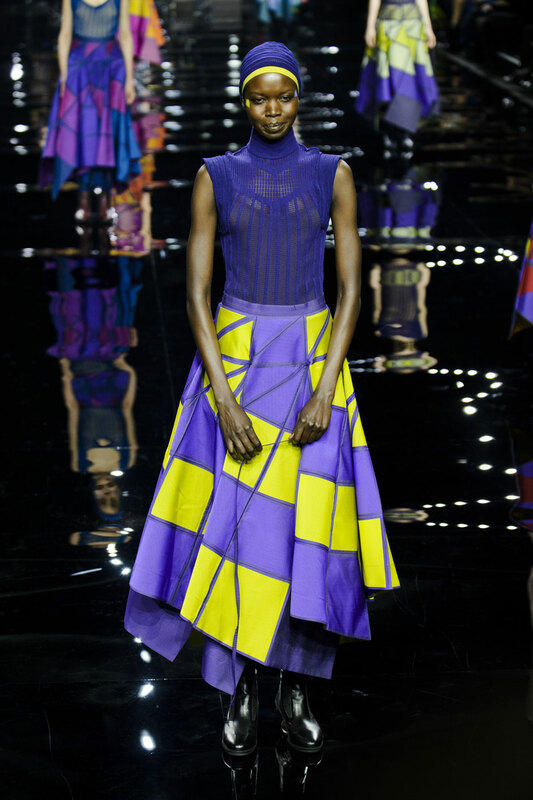 A flamboyant colour palette of yellow, red, blue, green, purple and pink hues brought life to the designs and runway. 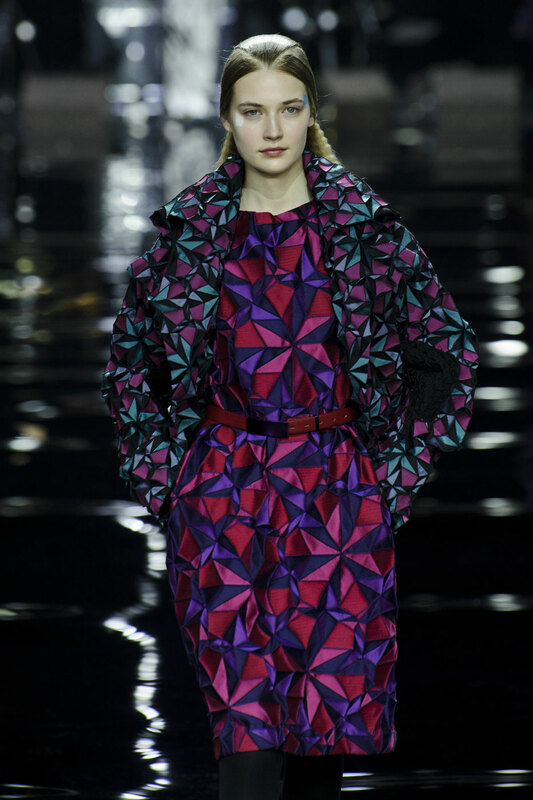 Further on in the collection, we are hypnotised by rainbow coloured optical illusion prints and geometric shape motifs. 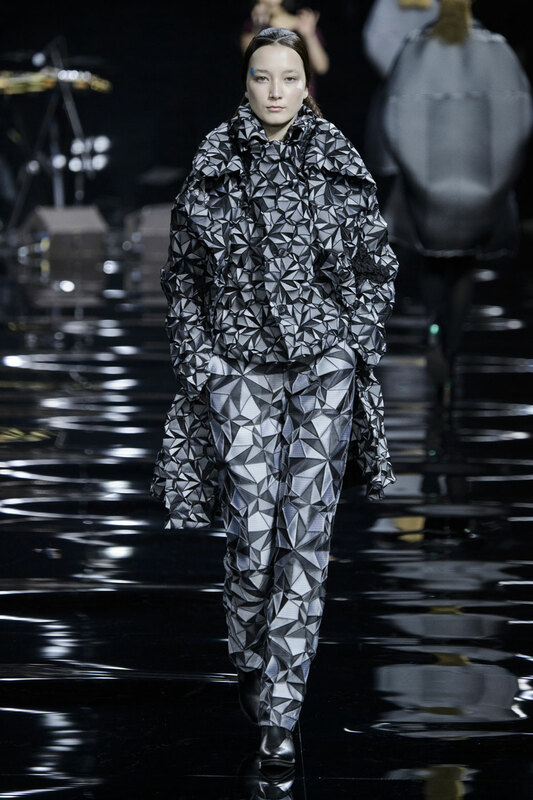 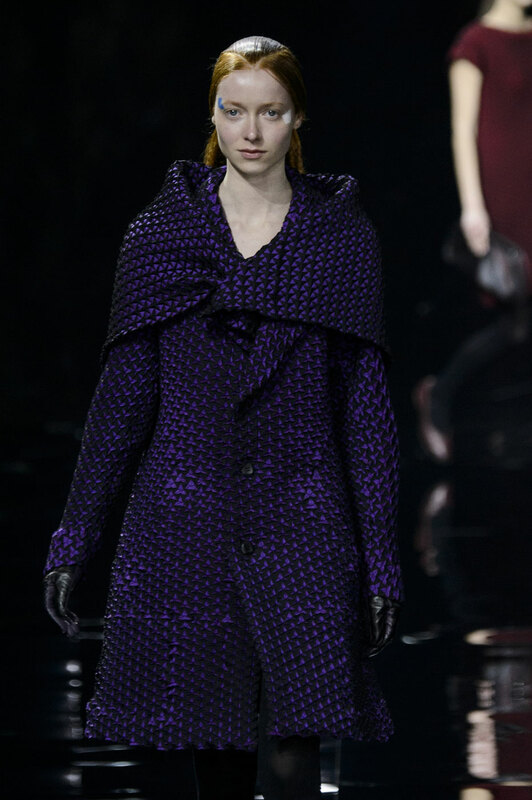 Origami inspired folds and shapes, exquisite jacquard and wool blends, silhouettes are sleek yet deconstructed. 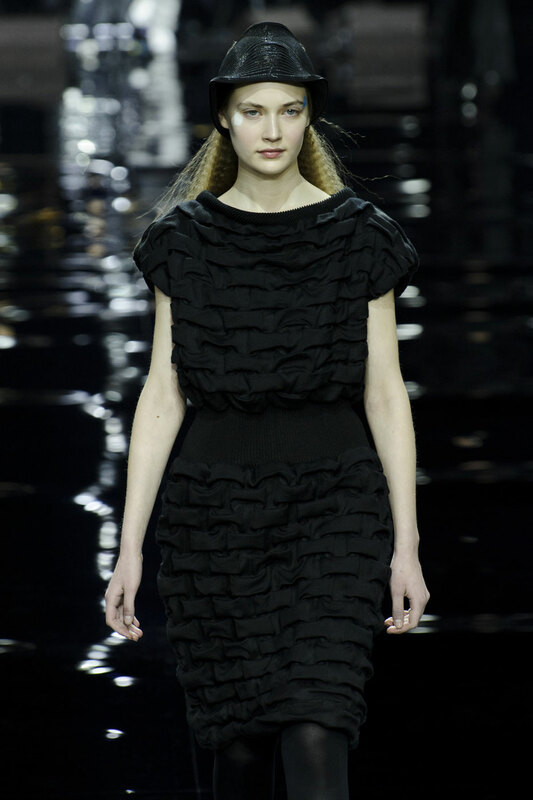 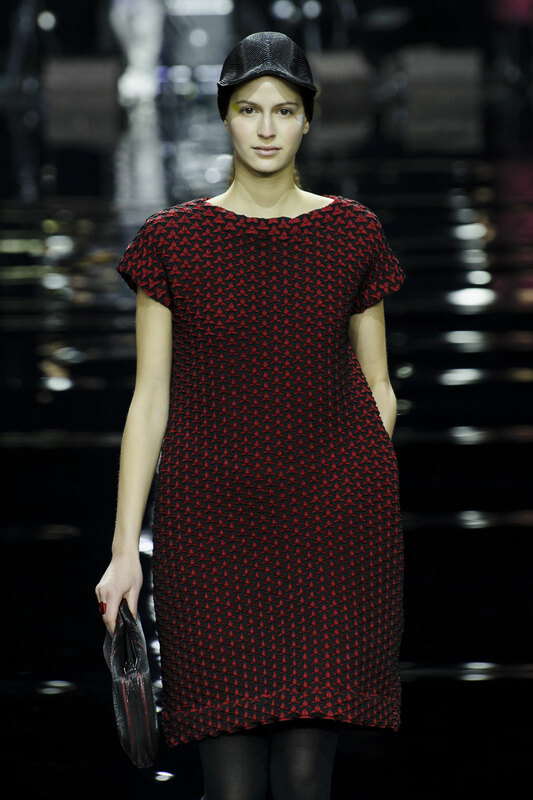 Sheer tank tops and the signature style plisse made an appearance in a structured layering. 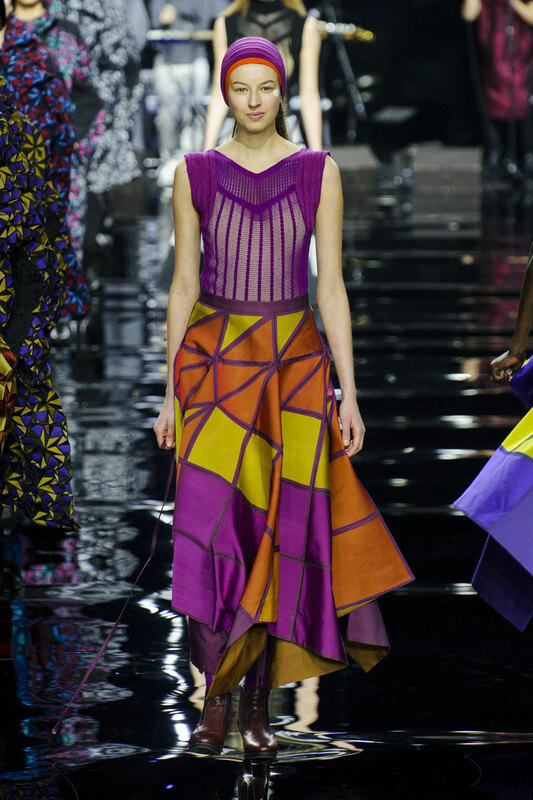 The show ended on a high and spirits were lifted as models span around unleashing techni-coloured dream skirts which stole the show. 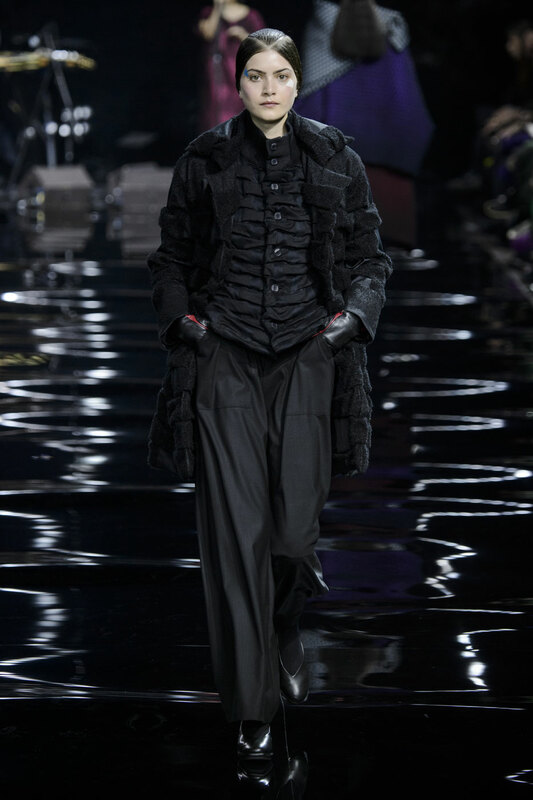 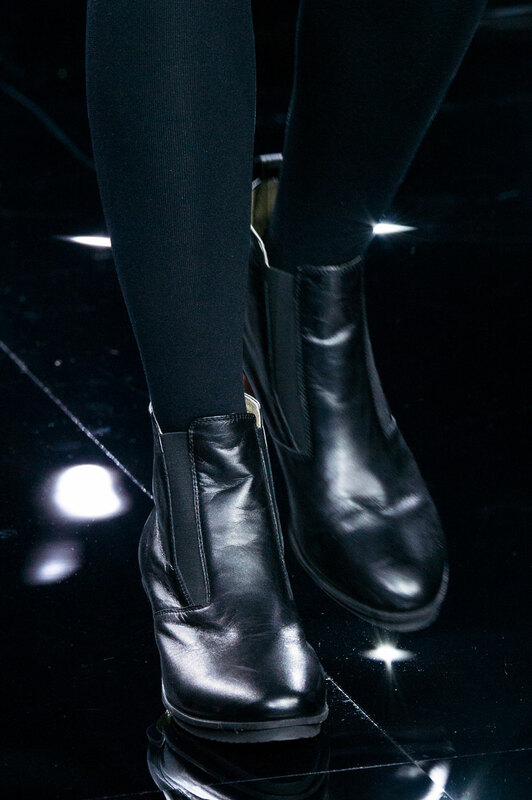 The mirrored catwalk which distorted and exaggerated the collections printed looks was walked down in black boots keeping the clothes as a focal point. 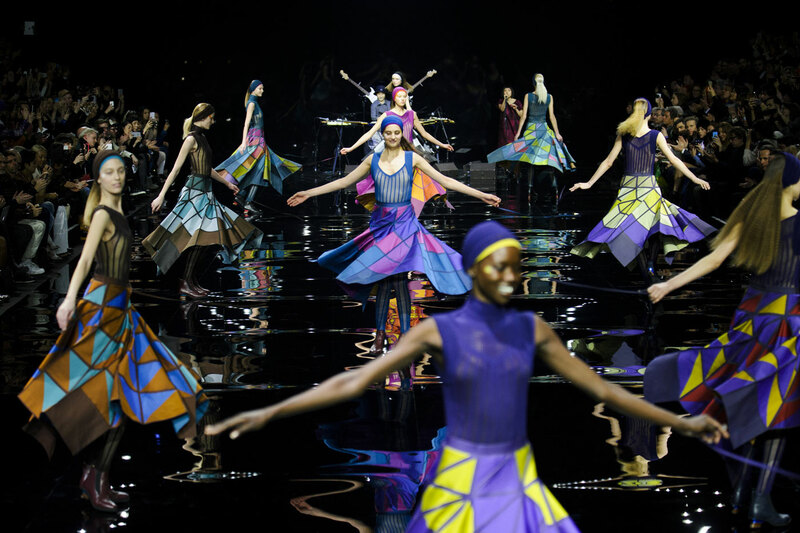 Combining innovative textiles and theatrical presentation, designs were brought to life and as well as a sense of spectacle to the day.